Aral Sea Options - Website of buildingutopia! - Tolls on shipping could re-pay loans and deliver returns on investment. 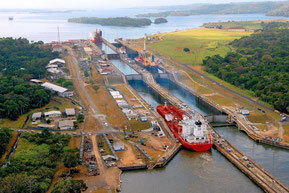 - Canals helped develop Canada, the US, large parts of Europe and other places in the world. Why not the Central Asia area ? 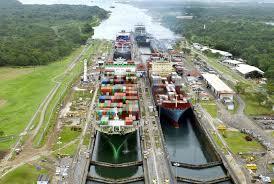 - Business & trade generated by these canals would help develop the region. 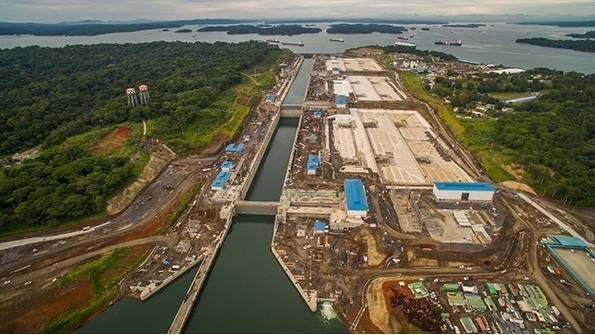 Water diverted from northern rivers could speed the recovery of the sea, but in my opinion, canals (that don't leak, & are big enough for large ships) are required as well (for economic development). Diverting water from northern rivers has always been part of the Aral Sea plan. 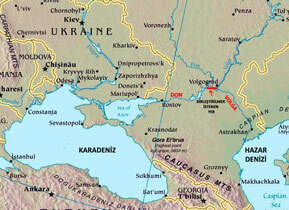 This could also help the Caspian Sea which is suffering from too much water from one of these northern rivers. Too much fresh water from one of these northern rivers is also flowing into the Arctic Ocean, speeding the melting of the Northern Ice Cap and contributing to global warming. Allowing this excessive water flow to continue could even turn-off the hot/cold conveyor, tipping the world into another Ice Age. I do not want to blame the Russians for the Aral disaster, they meant well in helping to develop the cotton industry in the area. - All the more reason I hope they can be part of the solution. 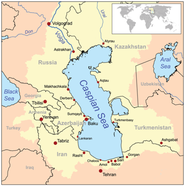 If we are going to - "fix" - the world, a good place to start would be the Aral Sea. Copyright © Building Utopia. ALL RIGHTS RESERVED.